Rental property "still a strong investment post-Brexit"
The buy-to-let market remains a strong and attractive option for investors in the UK, despite a period of Brexit-related uncertainty. The Rent Check report has revealed rents for three-bedroom properties rose in all regions in the year to Q4 2016, 84 per cent of landlords are currently making a profit from their portfolios and 37 per cent of those letting a property expect rental growth in the next six months. It also explained that a number of fundamental factors behind the success of the buy-to-let sector continue to be unchanged even now Article 50 has been triggered and the UK’s departure from the EU is less than two years away. Allison Thompson, managing director at property specialist Leaders, says: “Key trends that have defined the property market in recent years and allowed the private rental market to grow and flourish remain exactly the same. “These include the fact house building is far lower than required to redress the imbalance between supply and demand, the supply of land for new homes remains extremely limited, builders are slowing production in order to maximise prices and demand for property – especially in London, the south-east and major economic hubs – is consistently high. 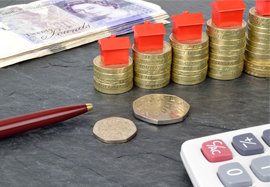 The Rent Check report concluded that the private rental market will continue to play a “crucial part” in the UK’s housing set-up in the coming years and described the emerging build-to-rent sector as “encouraging”. Allison adds: “The UK has always been a nation in which people dream of owning their own home, but the rental market is going to play a key role in solving the country’s housing crisis and a specific build-to-rent industry is just as valuable as new homes to buy. For more information or advice on letting a property contact your local Leaders branch.